A late 19th century replica of the Alfred Jewel – £2600 at Woolley & Wallis. Inscribed Aelfred Mec Heht Gewyrcan (Alfred ordered me made), it once formed the handle for an aestel – a pointer used to follow the text in a book. This piece is one of a number of copies commissioned and distributed by Elliot Stock, a London bookseller and publisher, “so that it may be better known than hitherto, and by it to recall the Christian labours of that king”. They were made in silver-gilt (with a few in gold) and were on sale until c.1903. The Victoria & Albert Museum bought at least three examples to be used by art students for drawing practice. Estimated at £200-300, it sold for £2600. Salisbury’s first jewellery sale of the year maintained a strong selling rate of 87% and posted a total of £600,000. 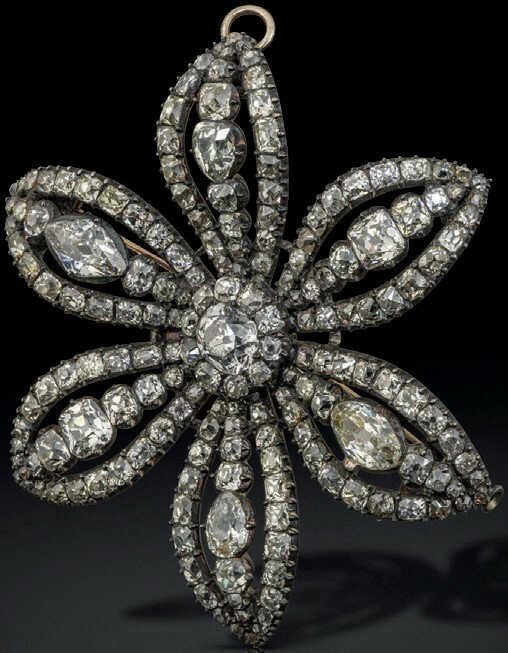 George III diamond flower-head brooch pendant , c.1790 – £28,000 at Woolley & Wallis. Leading proceedings at £28,000 (estimate £5000-7000) was a George III diamond flower-head brooch pendant , c.1790, set in silver closed-back mount. The six petals of the flower head were set with cushion and old marquise-shaped stones around a central cluster of cushion-shaped diamonds. 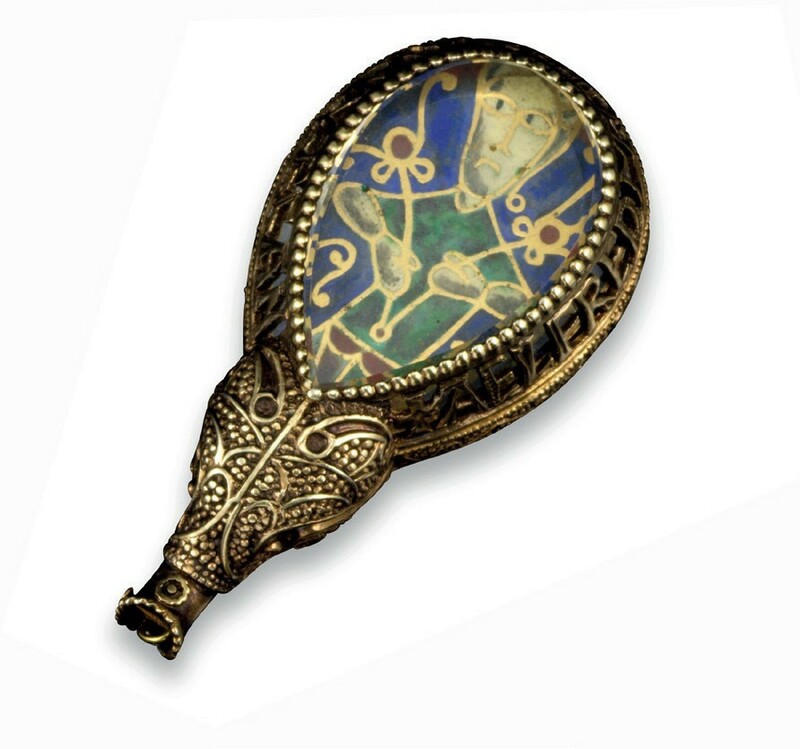 Although now a brooch with a later suspension loop and pin, it was probably originally sewn onto a dress. Both lots sold to UK private collectors.